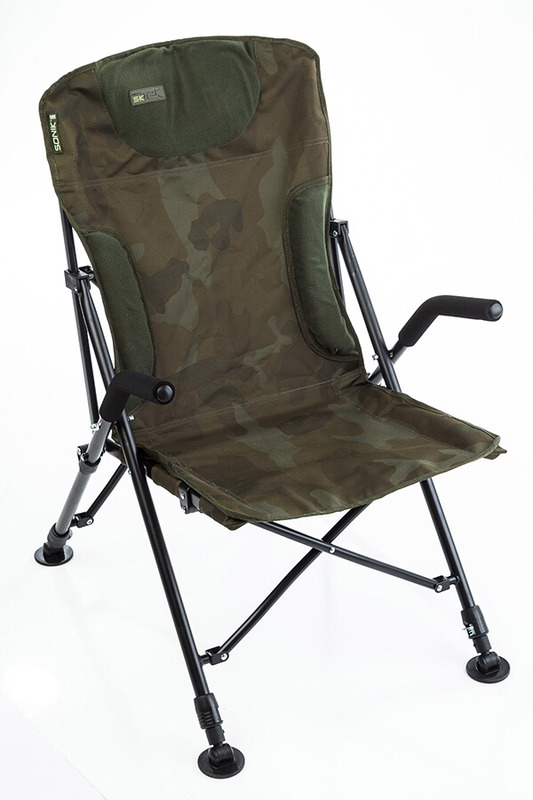 The new Sonik SK-TEK folding chairs are both super compact and comfortable. Decked out in the smart new SK-TEK camo pattern they are constructed from HD 600D PVC backed material with a tough powder coated steel and aluminium frame. They are quick to setup and adaptable to any terrain with adjustable leg length and swivel mud feet. Choose the standard model if you prefer a higher seating position and the compact model for lower. Both have comfortable foam-covered arm rests and come with a drawstring carry bag.